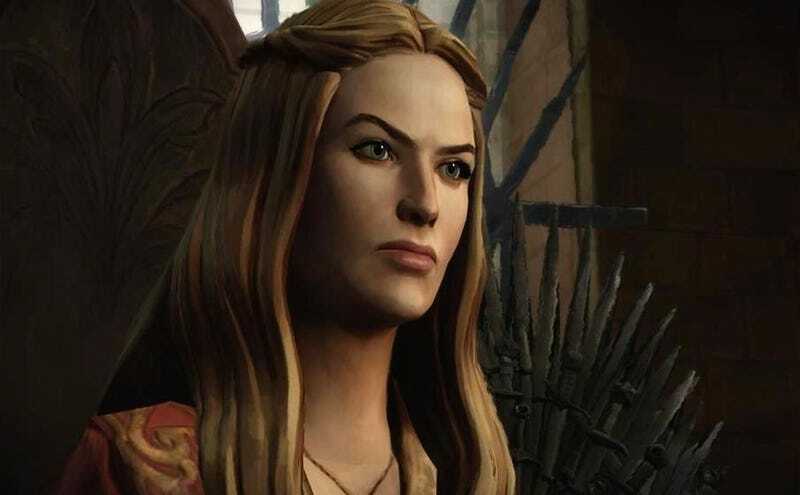 Poor Game of Thrones hasn't had the best of luck with video games so far, but people are way more optimistic about Telltale's (The Walking Dead) upcoming take on the franchise. Over the weekend these images, reportedly of the as-yet-unseen game, appear to have leaked. As you can see, Cersei is not impressed. They weren't released by Telltale (looks like they were first released by this XBLA-focused Twitter account), so there's always the possibility they're fake, but given the art style (and how they look like they were captured from a trailer), it's more likely we're just getting an early look at the project. While the game puts you in the shoes of a new character in a minor house, going by number of familiar faces here it looks like you'll be running into just about everyone who's been in the TV and is still alive.